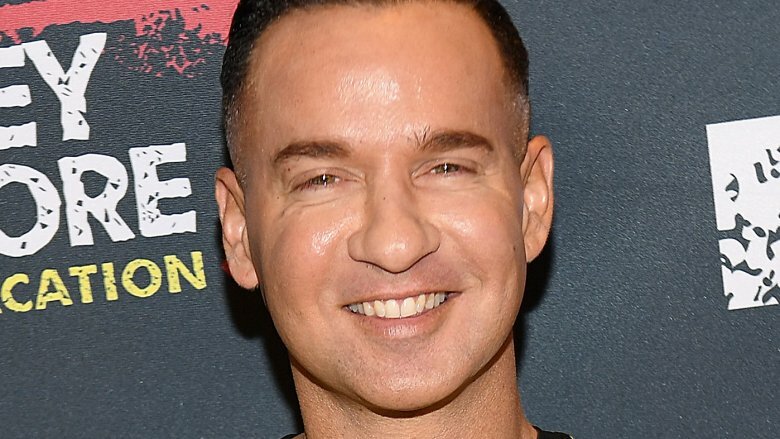 Mike Sorrentino, who's better known as "The Situation," just reached a major milestone in his life. On Saturday, Dec. 22, 2018, the Jersey Shore star took to Instagram to mark three years of sobriety following a longtime battle with prescription medication, drug, and alcohol addiction. "Big daddy Sitch celebrating 3 years of sobriety & teaming up with @discoveryinstitute_nj to bring a holiday meal to Phoenix Recovery House in Eatontown NJ for Christmas," Sorrentino wrote to his 1.7 million followers, captioning a festive snapshot of himself smiling ahead of the holidays. As Nicki Swift previously reported, Sorrentino, 36, opened up about his sobriety during an interview with People magazine in April 2017. "It's my life, and I have to take care of it," the MTV star told the publication at the time. "If I'm not healthy mentally and physically, I'm not going to make it." While speaking about maintaining his sobriety in a recent Instagram video for the Discovery Institute for Addictive Disorders, where he completed a rehab stint, Sorrentino admitted, "I was actually a bit insecure. I was known to be, you know, one of the bigger partiers on Jersey Shore. I told myself, you know, I'm going to have to continue to challenge myself in my recovery." It has certainly been a whirlwind of a year for Sorrentino, who tied the knot with college sweetheart Lauren Pesce in early November 2018 — shortly after receiving an eight-month prison sentence for tax evasion. After spending the holiday season with his longtime love, the TV personality will have until Jan. 15, 2019, to surrender himself to the Bureau of Prisons. For their part, the newlyweds will be happy to finally move forward from the ordeal later next year. As Pesce, 33, wrote on social media after her beau's sentencing, "We are happy to put an end to this chapter and excited to move forward in our future. We are blessed to have our health and the outpouring of support from family, friends & fans. We love you." A number of other celebs have shared updates on their own journey toward sobriety in recent weeks, including Backstreet Boy singer AJ McLean. "Look, I have no shame in saying, I've relapsed over the past year. It's no secret that this is a disease, and that it's a daily struggle," the "Don't Go Breaking My Heart" hitmaker, who's battled alcohol abuse, told People magazine last month. However, he added, "If you surround yourself with a good support group, if you go to meetings, if you talk to other addicts … You have to make it a lifestyle, you truly do."